These two are going to be rivals for a long time, so there’s no way Markelle Fultz actually considered this, right? The rivalry between Fultz and Lonzo Ball has already started to get heated and will grow exponentially after Thursday night's NBA draft. 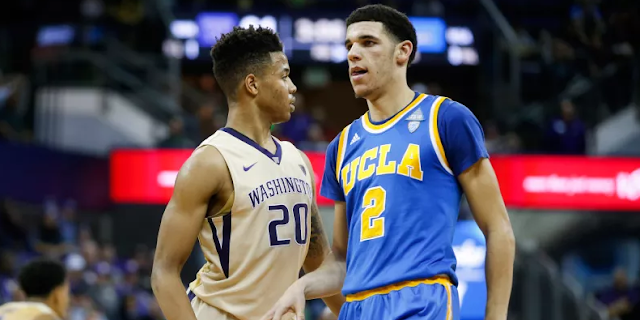 The two rivals were almost business partners, as prior to singing an endorsement deal with Nike, Fultz had debated a deal the Ball family’s Big Baller Brand, according to The Washington Post. “I was thinking about it, but then I would make (LaVar, Lonzo’s father) money,” explained Fultz. Fultz says he couldn’t go through with it because the Ball family is far and away different from how he was raised. “I was raised to be respectful, cordial, not loud,” said Ebony. Williams: You sure you don’t want to sign with them? Fultz: I was thinking about it, but then I would make him money, though. Williams: Or lose them more money. Fultz: I don’t know, honestly. Williams: I don’t think they’ve got money to sign nobody. Fultz would go on to sign with Nike, but wow what could have been for the Ball’s.